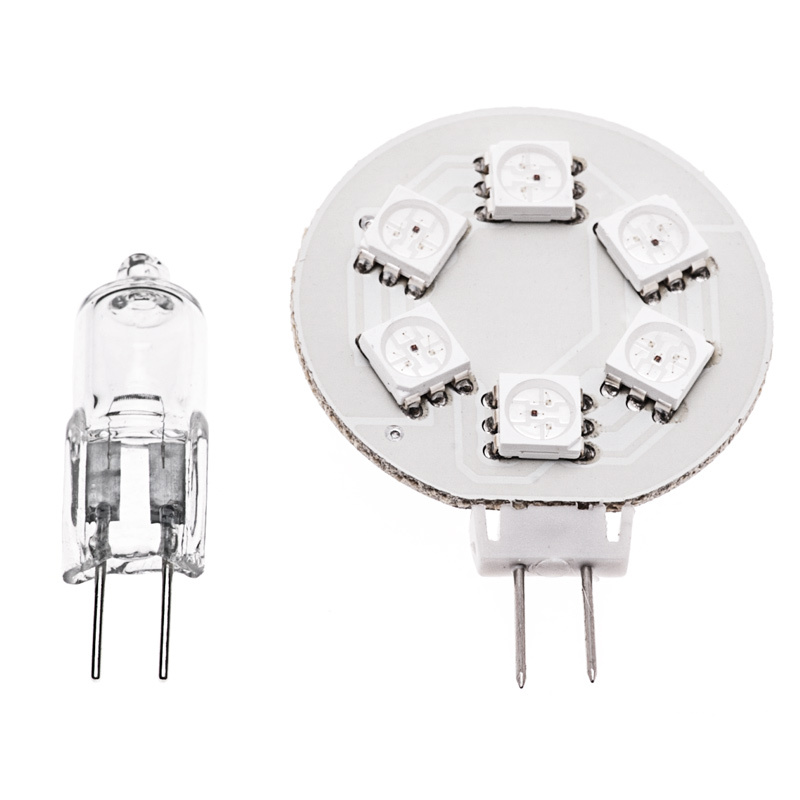 This household LED bulb can fit numerous applications where G4 bi-pin bulbs are used such as ceiling lights, wall fixtures, step lights, mini pendant lights and decorative sconce lights. 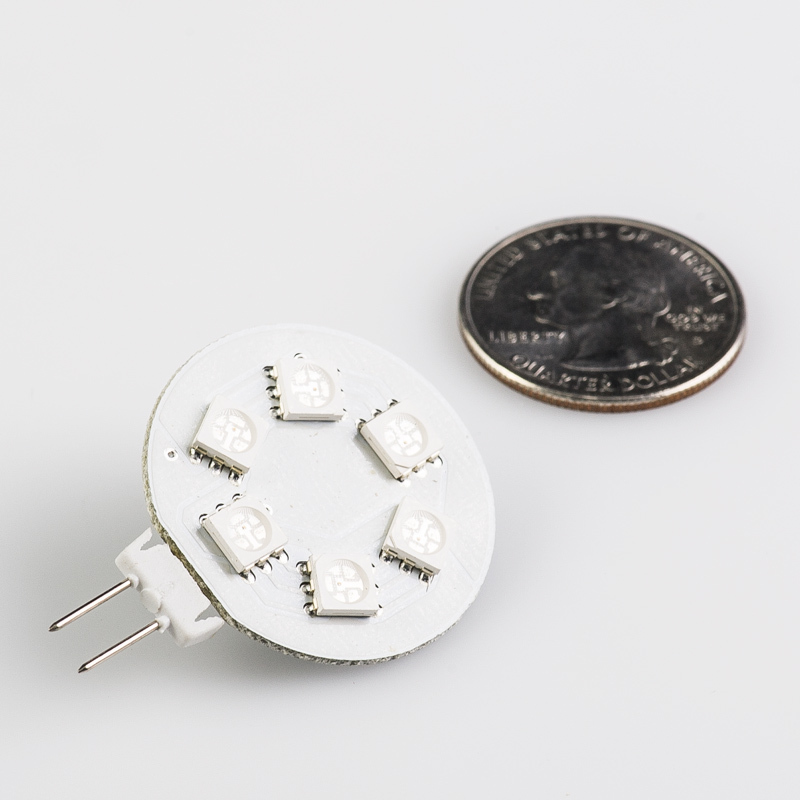 The color-changing G4 LED disc has 6 LEDs (5050 SMD). Seven-color cycle continuously changes and fades. 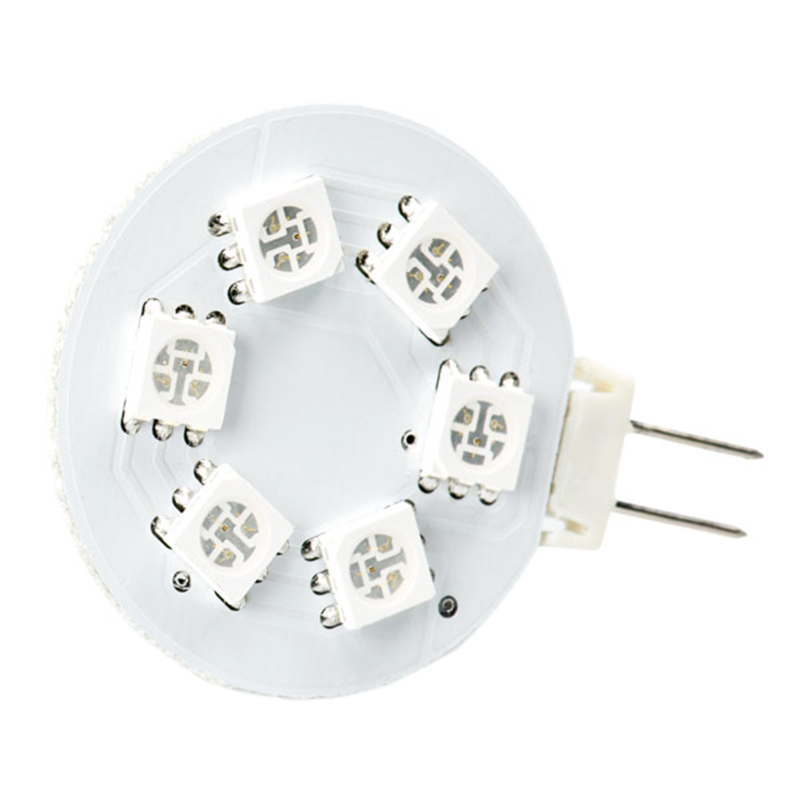 LEDs are mounted to one side of the disc for direct 120° illumination with no wasted light. Bi-pin base for easy plug-and-play installation. The energy-efficient bulb uses only 1 watt of power; an incandescent bulb with comparable light output would consume 15-20 watts. 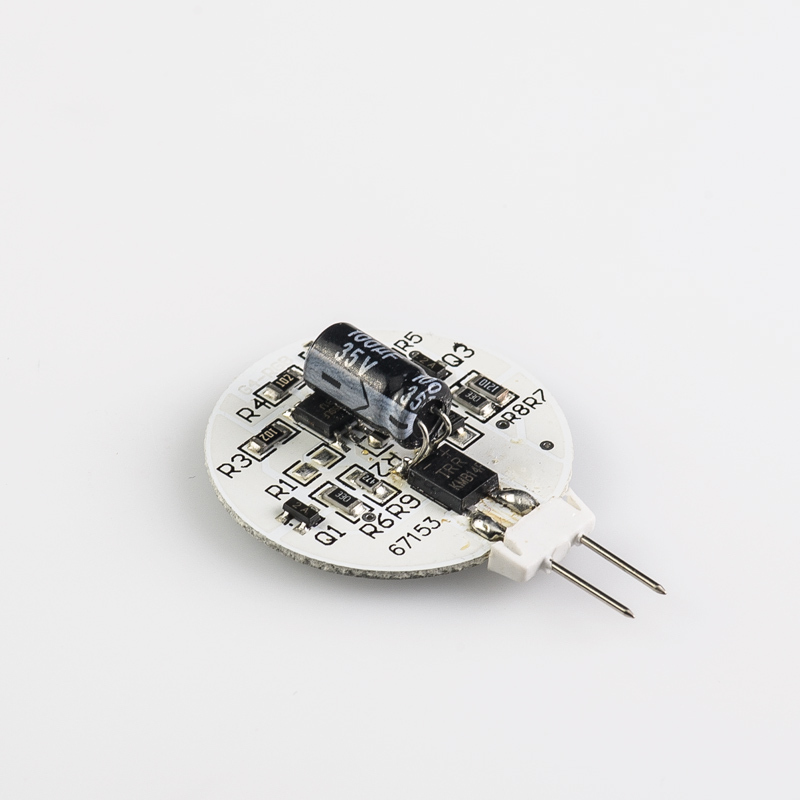 This bulb operates within a wide 12V AC/DC range and is designed to last 50,000 hours—42 times longer than incandescents. Price per bulb.